Come join us for a fun evening of tying or just telling us how that big one got away! See you in the "White River Fly Shop" at Bass Pro Shops! This Month we are doing a featured fly! In the "White River Fly Shop"
We will be having a Lying and Tying session at Bass Pro Shops, Concord, NC. 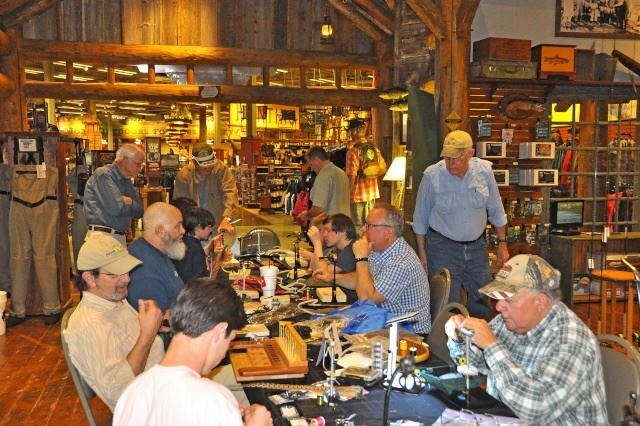 This is just a get together, where you can bring your vise and material and just enjoy an evening of fly tying. Of course there is some lying about how big the fish was and of course how my fly is one that catch all of the big fish. We will start around 5:30 PM and finish around 8:30 PM at the Bass Pro Shops in the White River Fly Shop room in the back of the store.